Originally from Long Island, NY Josh is a 20+ year resident of Boca Raton and a has held a Florida Real Estate license since 2005. Growing up in this area, he has participated in all aspects of the Boca Raton community, and has lived in several of Boca's best known gated communities. 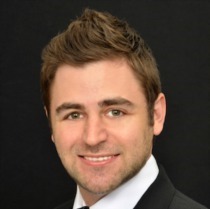 Josh joined Champagne & Parisi Real Estate because of the great name and reputation they have, and his desire to have his clients dealing with the very best. Known for his professionalism with a personal touch, he prides himself on setting realistic expectations with his clients, and then reaching and exceeding those expectations. Most importantly, he recognizes that buying or selling a home is one of life’s major decisions, and he guides and assists his clients in reaching their goals. Expect nothing less than prompt, dedicated, and committed service with the highest level of professionalism when working with Josh. He participates in Boca Raton activities, enjoys the community and all that is has to offer.